LV12 is a CCD bar code decoding capabilities. 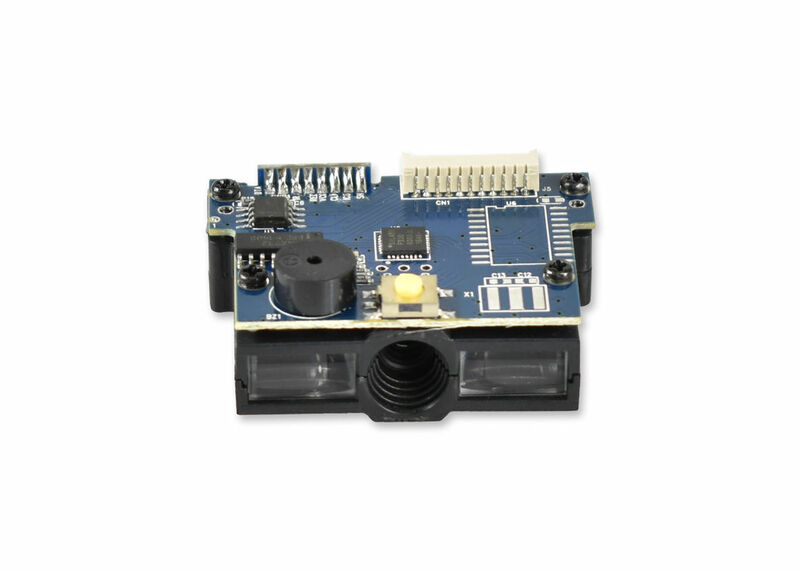 LV12 decode board is powered by a fast processor and to decode a wide array of 1D bar codes. The decode board is compatible with Utility, a PC-based software for easy configuration. LV12 is a sort of utilitarian embedded barcode reading engine. 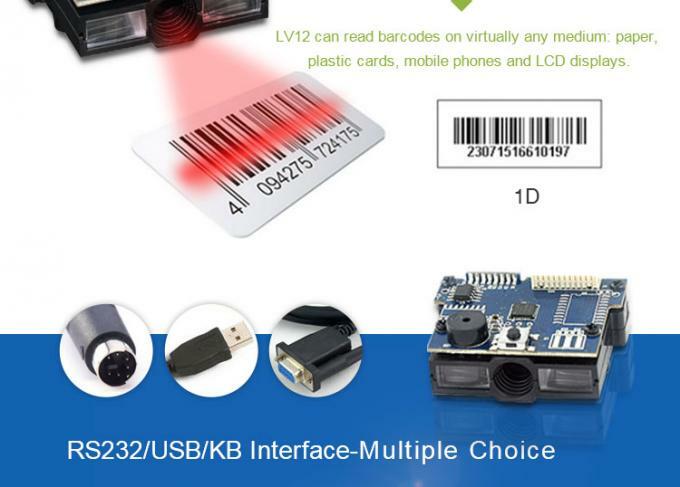 Applying to computerized CCD Image Recognition System, it ensures the fast scanning and decoding accuracy on popular 1D barcodes. 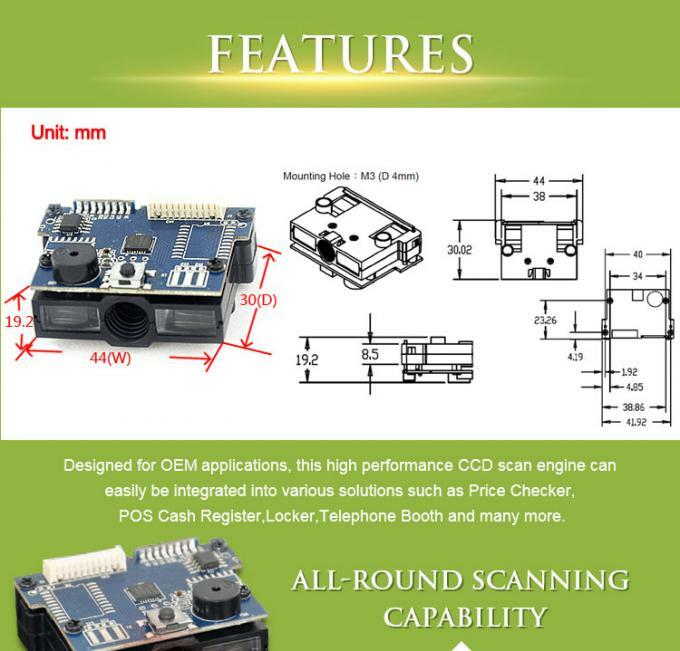 3) LV12 CCD barcode scanner is designed with the industrial standard size, mounting options and output to facilitate integration into existing applications.